making shop drawings of created wall frames. We kindly welcome all Revit® Architecture and Revit® Structure users to our FREE WEBINAR on quick and professional modeling and making of shop drawings of wood roof & wall framing. The online demo will last for 45 minutes. Please join us to see design options for the cold formed steel metal frame systems using BIM solutions for Revit. Learn how to model a steel part and efficiently generate all framing plans and shop drawings that will show all connections, openings, materials, etc. MEP design in a project is only one part of work. Another part is how the MEP elements are connected to structural elements. It is a real headache to engineers as this is quite an important part of a project. Sometimes even MEP element distribution might be revised due to hanger clashes or absence of structural parts to connect hangers to. Smart Hangers is a tool that helps HVAC engineers, plumbers, fire protection engineers, electrics and constructors to evaluate the positioning of their design! We welcome Revit® Architecture and Revit® MEP users to join Smart Hangers live demonstration and find out how you can use this powerful solution for hanger and support distribution on MEP elements in your own Revit® projects. We kindly welcome all Revit® Architecture and Revit® Structure users to our FREE WEBINAR on quick and professional modeling and making of shop drawings of wood wall framing. During this webinar you'll see how much time will be saved using our BIM solution Wall+ which is a wood framing application for Autodesk® Revit®. define and save your own multiple framing configurations by the wall type. Add engineering information from logarithmic graphs for your required Autodesk Revit family. All information will be transferred from graphical form into numerical form. Add more than one logarithmic graph to your family to work accurately and correctly. FREE WEBINAR: Effortless Documentation. Make Assemblies Easily, Create Shop Drawings Quickly! We kindly recommend you to join us for a 45 minutes on-line presentation of our newest BIM Solution Smart Assemblies that is already compatible with Autodesk® Revit® 2015. In this webinar you'll learn how to easily create professional detail drawings in Revit. This Revit-based application can save you hundreds hours of work required for shop drawing creation! 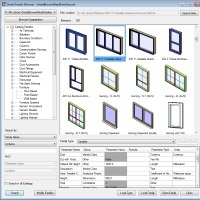 Smart Assemblies is very helpful Revit-based software, especially for Structural Engineers. Effortless Documentation. Make assemblies easily, create shop drawings quickly!